Indeed, Paul Gassman had definitive expectations of colleagues and students working in his field and his lab. “Those people who feel that they will eventually get a degree if they put in their time this way are badly mistaken. I do not desire to have students who intend to take in excess of five years to get a Ph.D.” Gassman practiced what he preached, earning his Ph.D. at Cornell in just three years. While Gassman’s views may have seemed excessivley rigorous to some, they served him well in his career. 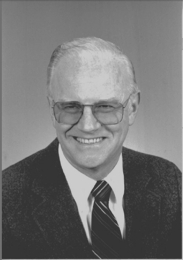 During his decades as a professor at the University of Minnesota, Gassman trained 72 Ph.D. students in his lab, in addition to several dozen post-docs and undergraduates. He acquired 32 patents and produced over 300 publications. In recognition of his stature in the field, he served as the President of the American Chemical Society—the same day he assumed that position was also declared Paul Gassman Day by the governor of Minnesota.